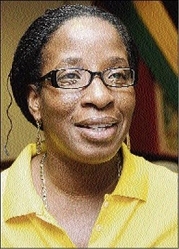 Sunshine Girls coach, Connie Francis, said yesterday that Jamaica will be using the upcoming National Commercial Bank (NCB) Sunshine Series to make a statement to netball powerhouses Australia and New Zealand. "This weekend is a big one for us to show Australia and New Zealand that we can go out there and compete with them and beat them," said Francis. "It is now up to our girls to show them that we can do it and I am confident that they can do it." Francis added that the Girls have the required skills and talent to become the number-one team in the world but they must believe in themselves in order to achieve this. "The only way that we are going to become world-beaters is to believe in ourselves and take ourselves to the next level," said Francis, whose team won the silver medal at the just concluded World Fast Net Championships in Manchester, England. The medal represents the team's highest placing at any international tournament at the senior level. Meanwhile, Australia's captain, Sharelle McMahon, who was a member of the team which defeated the Sunshine Girls 2-0 in their last Test series in 2005, said they are expecting an exciting two-match series from the Sunshine Girls. "It is going to very tough for us playing in front of the Jamaica crowd because the atmosphere that they create is always fantastic for the Sunshine Girls," said McMahon. "It is also going to be a very exciting game to watch because the Jamaicans are playing some great netball at the moment." McMahon added that they are anxiously awaiting the start of the series because it gives them a chance to showcase some of their younger players to the world. "We have a very different team from the one that came over here with in 2005 because this a young squad, but they have fit into the team fantastically and they are not easily intimidated," she said. Jamaica will play Australia in the opening Test tomorrow at 5 p.m. inside the National Indoor Sports Centre. The second Test will be played at the same venue on Sunday, starting at 7 p.m. The New Zealanders are due here today to also play two Tests against Jamaica on October 20 and 22.